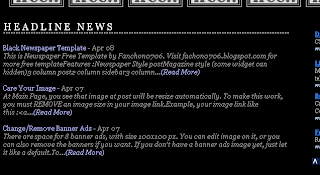 Let your visitors know what's new in your blog by 'Headline News'. Default will appear 1 of your latest post. But, you can edit, how latest post you will show at main page. How to edit your Headline News, read here.